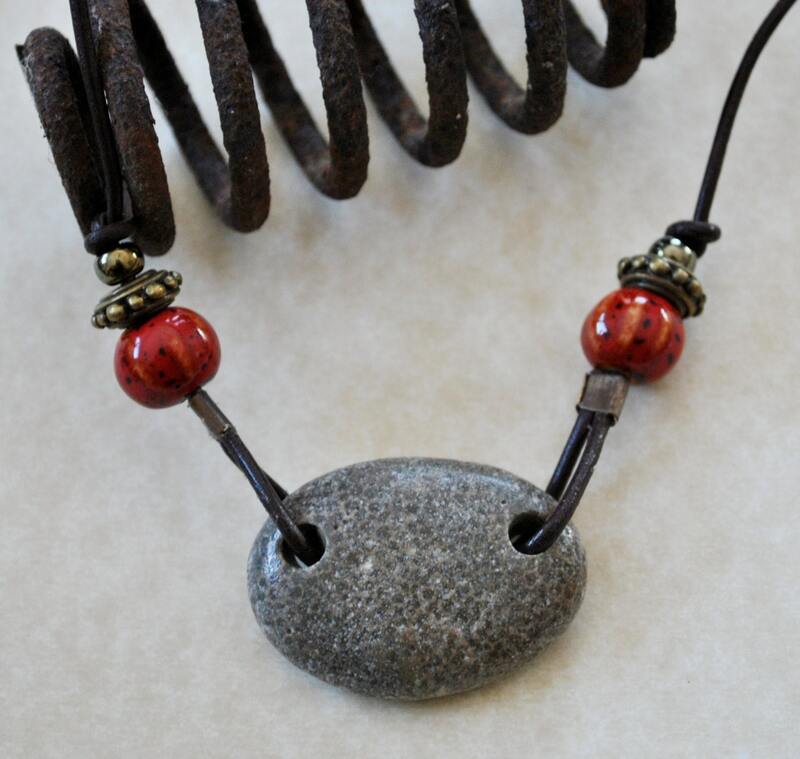 Men's Charlevoix stone necklace. 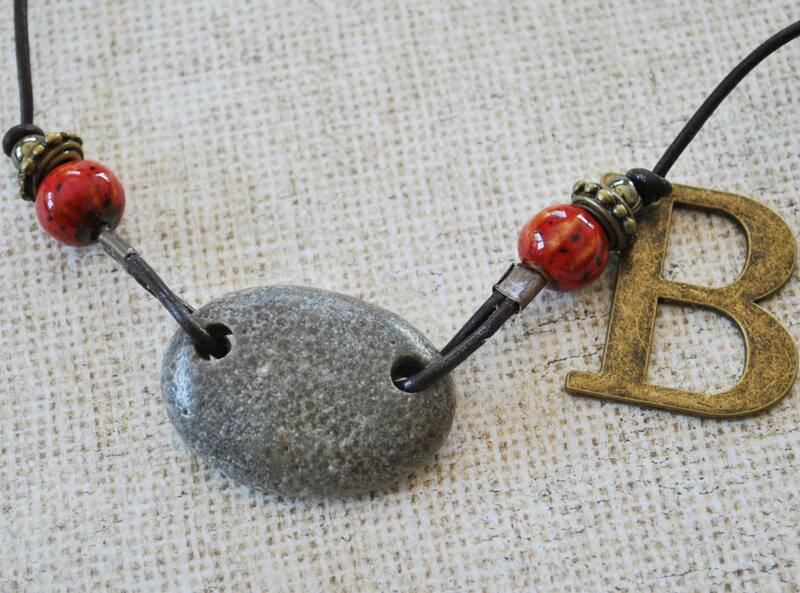 This handsome necklace has an oval Charlevoix fossil stone bead, red ceramic, and brass beads. 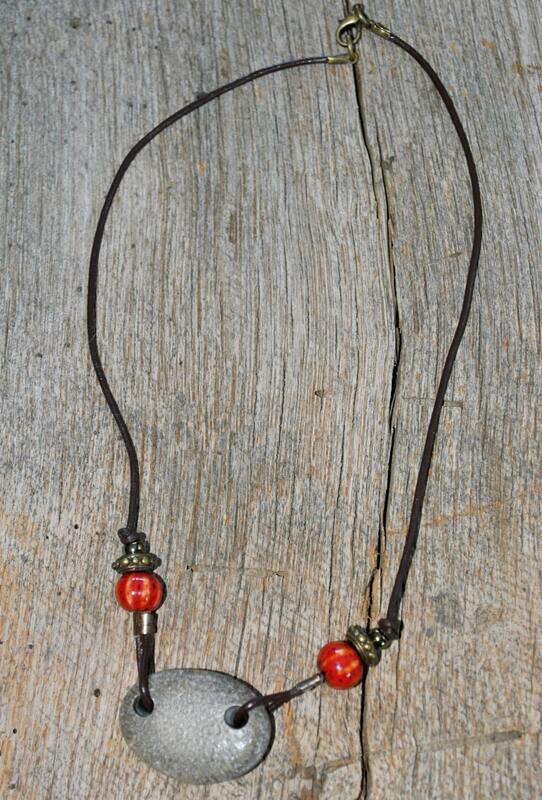 A brown leather cord necklace with brass lobster clasp goes through the necklace. 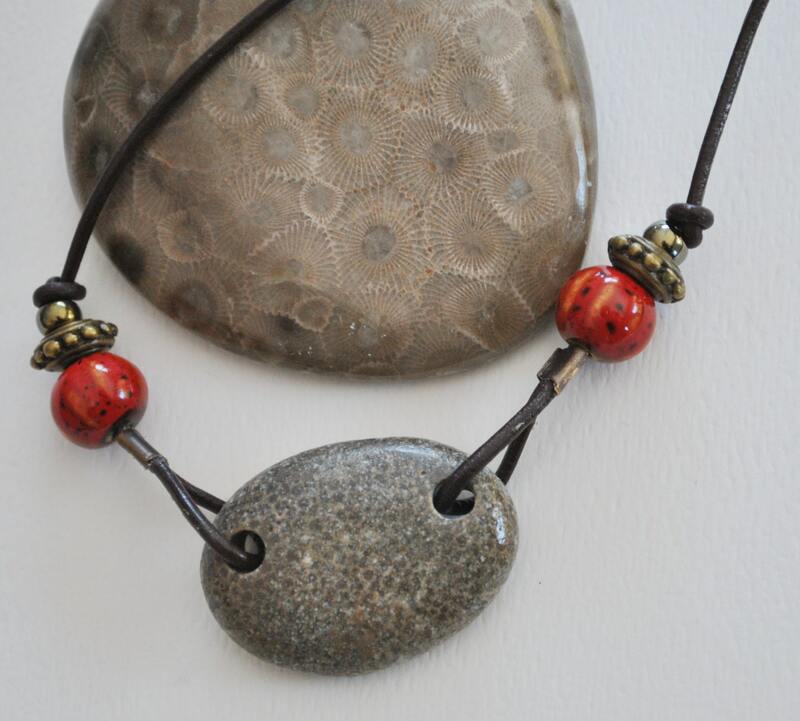 A Charlevoix stone is a rock and a fossil, often pebble-shaped, that is composed of a fossilized coral. Charlevoix stones are also known as Favosite. They are similar to the Michigan Petoskey stone with chambers much smaller. Where you find one you can usually find the other. 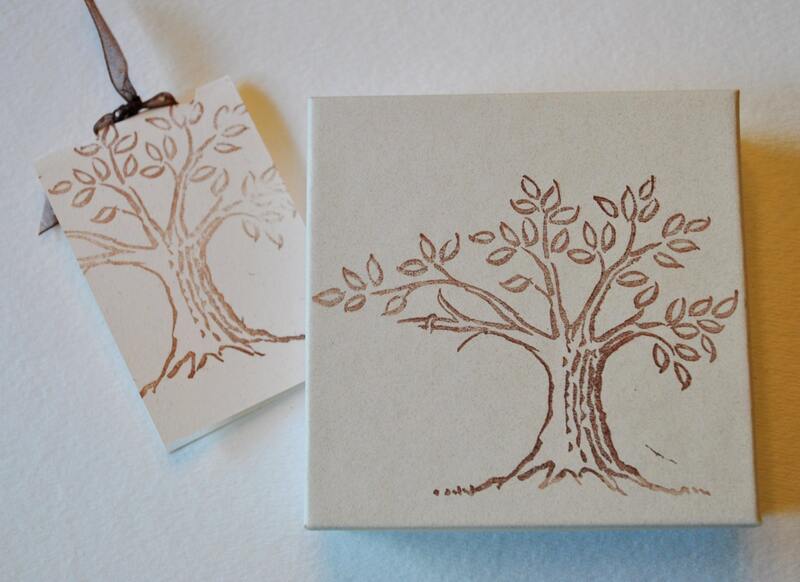 The stones are commonly found on beaches and in sand dunes in Northern Michigan.